Drive Your Next Holiday With Caravan Loans Up To $10,000 | Apply Now! Jacaranda Finance caravan loans for the adventurous nomad inside. 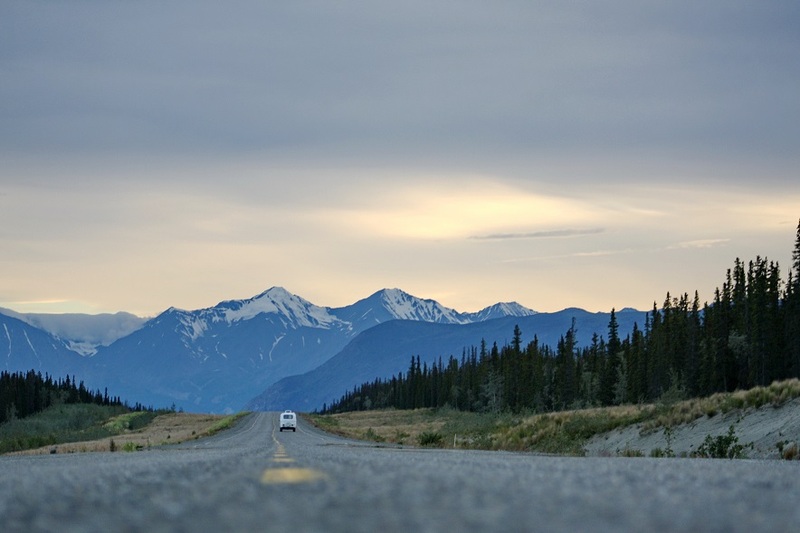 There’s no better way to see a place than to set out on the open road and drive its parameters. Sure, you can fly from location to location, but you’ll likely miss so much of the authentic sights. All the wildlife, the pit stops, the random sightseeing opportunities and the ability to go as fast or slow as you like and see as many places along the way as you like. You can’t do any of that a plane, now, can you? Now, you could travel old school in a car and camp along the way or stay in motels. Or you could lush things up a little and get yourself a caravan. It’s a house on wheels and the absolute best way to experience any road trip adventure. Our caravan cash loans can get you the caravan of your dreams to help you fulfil all your roadworthy travel plans. Our personal loans are essentially a type of personal loan that you use to purchase your house on wheels. Jacaranda Finance’s caravan cash loans Australia start at $2,001 and can go all the way up to $10,000 for all those people who are dreaming big. Whether you’re looking for a brand new motorhome or one that is pre-loved. Jacaranda Finance can help! If you’re just wanting to hire a caravan for a short trip with your family then you might be looking at getting smaller caravan finance. $2,100 might be perfect to get you and your family behind the wheel of your next big holiday. However, if you are only after a smaller amount, perhaps check out our unsecured personal loans or our holiday loans as they might be more suited. On the other hand, if you’re looking to buy your own holiday maker and have it at your disposal whenever you please, our cash loans for caravans can help with that! You can apply for our caravan loans Australian completely online. Just jump on to our car loans page and use the loan calculator to get started with your application. Use the slider to select how much you’re wanting to borrow. Then, choose your repayment period between 13 and 24-months. Enter a few contact details, click the Apply Now button and you’ve just started your application. Over the next few (yep, it’s that quick) we’ll ask you to provide a bit of information on your income, spending habits, employment and overall financial situation. You’ll just need to fill everything out online and then click Submit. No need to print anything off and rummage through piles of documents trying to find the right ones to send through. The whole process is completed online so it can’t really get any easier. What do I need handy to apply for caravan loans? The registration number, photos and proof of ownership for whatever asset you are tieing to your loan for security. That last point is one of the most important as all of our caravan cash loans are secured loans. When applying for a secured personal loan, you will be required to attach an asset to the loan for security. This could be your car, motorbike, boat or caravan (if you already have one, that is). However, the good news is that you can actually use the caravan you are buying as security for the loan. What happens after I’ve applied for my caravan loans? Once you’ve submitted your application for caravan finance, we’ll get to work assessing it straight away. Generally, it can take us as little as 60-minutes to fully assess an application. However, if we require additional documents, or you apply outside of normal business hours, it can take a little longer. We will, however, let you know within a couple of minutes if we are able to make you an offer. If we don’t think we’re a good fit for you, we don’t want to waste your time so we’ll be completely upfront about it. If you are conditionally approved, you can expect to hear from us after those 60-minutes. However, like we said, this will depend on a couple of things. Once we have everything we need, we’ll get in touch with you to go over some final details of your loan contract. Then, as long as everyone is happy, we’ll send you the finalised contract to sign and send back to us. It’s all done electronically so this process can be completed in a matter of minutes. As soon as we see your signed contract in our inbox, we’ll transfer you your caravan finance the same day. Most of our clients receive their caravan loans Australia within a few hours. Yep, that’s right. We can do same day cash loans, no problem! However, sometimes, if your bank has slightly stricter policies, it can take up to 24-hours for your cash advance to reach your bank account. When do I have to start paying back my quick loans Australia? Remember when we said that someone from our team will get in touch with you after you’ve been approved to go over some final details? Well, those final details include your repayment terms. We’ll ask you to select a day in which you would like your payments to come out of your account. This day can either be on a weekly, fortnightly or monthly basis and will last for the life of your loan. For example, you might want your payments to come out on a Thursday everyday fortnight, or a Tuesday every month. It’s completely up to you. However, we always recommend setting this day in line with your pay cycle so you’ll never be leaving yourself short. You won’t need to pay any more money before you’ve received your loan. This is not responsible lending and if you ever come across a lender that acts for upfront payments, it is very likely a scam. Your loan repayments will start whenever your nominated payment day comes around. This will always be at least 4-days after you’ve received your loan. It will depend on whether you’ve chosen to make payments weekly, fortnightly or monthly. Our team will go ahead and organise for your payment amount to be directly debited from your account on your nominated day. You won’t ever have to worry about setting reminders to make your caravan finance Australia payments. Nor will you need to stress about accidentally forgetting to make one. It will all be done automatically so to avoid those late or missed payments as much as possible. What about if I don’t have enough money in my account? If your bank account is looking less than impressive one week and you know you’re not going to be able to make a payment, don’t stress! All you need to do is get in touch with us to let us know what’s going on. As long as we know about the change in your situation before we go to take the payment, it is likely we will be able to work with you to come up with an alternative arrangement. Our job is to help your financial situation, not hinder it. Therefore, as long as you’re open with us, we’ll be open to working with you. On the other side of things, if you’re rather cashed up one week and want to throw a few extra dollars onto a payment, feel free to do so. You’ll just need to let us know the amount you’re wanting to pay and we’ll adjust your direct debit. We won’t ever charge you for adding to a payment or for paying your loan out early. In fact, you’ll end up saving money on interest rates and monthly fees. What are your caravan finance rates? Now, your loan repayments will vary depending on your individual situation and loan term length. However, you can use our loan calculator at the top of this page to get a rough idea of what your repayments will be. When it comes to the fees associated with our personal loans, we like to be completely transparent and upfront about it. Therefore, you’ll never be hit with unexpected fees that were hidden in the fine print. What you see in your loan contract will be exactly what you get. For one of our medium secured personal loans, any amount between $2,001 and $4,600, you’ll be charged a $400 establishment fee, and an interest rate of 48%. For our large secure loans, between $5,000 and $10,000, you will be charged an interest rate 21.24%. You will also be charged a dishonour fee of $35 if any of your payments fail. That’s why it’s so important to let us know when you’re struggling. Another fee is the last thing you need when you’re already doing it tough. Can I get caravan cash loans if I am on Centrelink? Have a direct mobile number and email address. If that sounds like you, and your Centrelink payments are regular and consistent, you could very well qualify for caravan cash loans with Jacaranda Finance. The same goes for your credit score. As long as you meet our eligibility requirements, your bad credit won’t necessarily stop you from getting approved for caravan finance Australia. As responsible lenders, we do conduct credit checks on all applications. However, don’t let that rattle you. Your credit score is only a small reflection of your financial situation and not the only thing we look at. We prefer to put more focus on your current income and relationship with money rather than a couple of past mistakes. We believe that your credit history should be just that: history. Therefore, we’ll always determine your ability to repay your loan based on your income, spending habits and overall relationship with money. We will never approve someone for a loan they cannot afford to repay. We get that you might be in need of instant loans. However, applying for credit you can’t afford will only hurt your situation even more in the long run. If your application was not successful, don’t let it get you down. It just means that you’re likely better off without the financial burden of loan repayments hanging over you for the next 13 to 24-months. However, feel free to apply with us again later down the track as our criteria are always changing and we’re sure your situation is too! You could be behind the wheel of your dream caravan in no time at all! Ready to become a nomad? If you’ve been sold on the nomadic lifestyle, living day by day on the road to adventure, we have the solution for you! Apply for a caravan loan and you’ll be driving your family holiday in no time at all! If you still have some unanswered questions then jump over to our FAQ page. Still a little unsure? Shoot us your question either via our website contact page or our Facebook. Drive Your Next Holiday With Jacaranda Finance Caravan Loans Overall rating: 4.8 out of 5 based on 60 reviews.